NEW YORK, May 31, 2012/ — Sneakers and trainers are something that the Americans and the British share very closely. Though the sneaker is generally accepted as an American invention, it is actually based on the British plimsolls. Plimsolls were rubber soled shoes which main defect is that it did not distinguish between right and left foot and thus making them relatively uncomfortable. In 1892, Goodyear began mass producing a rubber soled shoes which were called “sneakers” because it is so quiet that a person could “sneak up on someone” while wearing them. In 1916, through a series of mergers and acquisitions, Goodyear’s shoe division became Keds and thus the original sneaker was born! It was also the year that the shoe label “Champion” was launched. The year after, in 1917, a company called Converse introduced a canvas and rubber shoe geared towards basketball. The All-Star sported ankle support as the canvas would go higher up the leg than a normal shoe, creating the high top. Interestingly enough, the sneakers continued its climb to popularity and the British started calling them “trainers”, short for “training shoes” perhaps because even early on, sneakers were already associated with sports. And that tradition of being sportive continued that even new sports like skateboarding which was invented during the late 1940s and early 1950s used rubber soled shoes as standard equipment. 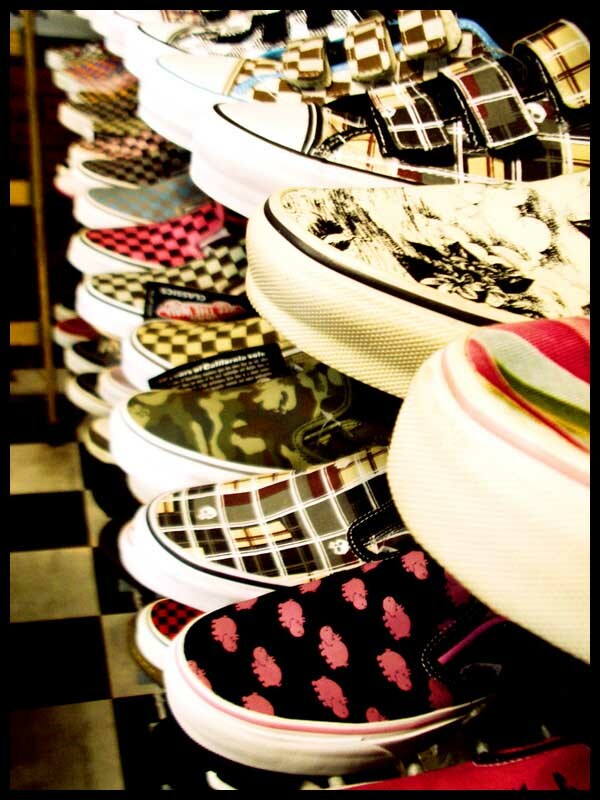 Vans, one of the pioneering companies associated with skateboarding is a classified as a “sneaker” manufacturer since its founding in 1966 up to today. From its humble beginnings over 100 years ago, the sneaker has become a worldwide phenomenon wherein high-end labels from Nike to adidas, and designers like Stella McCartney and Yohji Yamamoto are well known for their high street sneaker labels. Yet, no matter how much high street fashion reinvent and rework the sneakers, its association with sports never diminish. From basketball aficionados to BMX bikers, the sneakers are their “trainers”. Case in point, the very youthful and predominantly male fans of skateboarders stand by their Vans sneakers that they actually flock to Skatehut Vans Trainers to get a pair!